In this episode of FDE TV we address the topic of female CFOs and female leaders. We speak with Kathryn Bishop, an associate fellow at Said Business School of the University of Oxford, Lena Shishkina, CFO EMEA & APJ at Workday, and Ana de Pro, group CFO of Amadeus. We are now living in what is an ever-evolving business, social, and political climate, where equality, in all respects, is under the spotlight more than it has ever been before. In fact, 2018 marks the 100th anniversary of women in the UK gaining the right to vote, thanks to the Suffragette movement. Having said that, fewer than 10% of the UN member states have female leaders and according to Korn Ferry’s 2017 survey only 11% of businesses across industries in the US have female CFOs. Furthermore, there are only around 60 women CFOs in the fortune 500. In this episode of FDE TV we address the topic of female CFOs and female leaders. 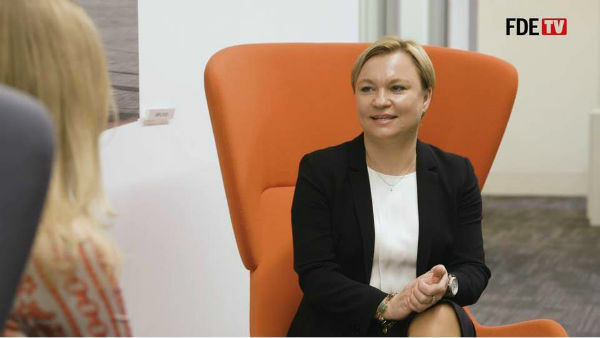 We speak with Kathryn Bishop, an associate fellow at Said Business School of the University of Oxford (https://www.sbs.ox.ac.uk/programmes/execed/wtl), Lena Shishkina, CFO EMEA & APJ at Workday, and Ana de Pro, group CFO of Amadeus.